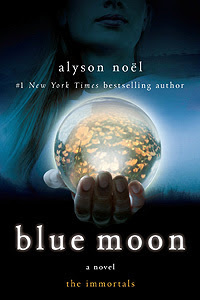 Blue Moon was written by Alyson Noel. It's is book 2 in The Immortals Series. Loved Summerland. I loved the way they pulled in the past... and how Summerland gave Ever (and the readers) a way to see the past without them really being just "flashbacks".